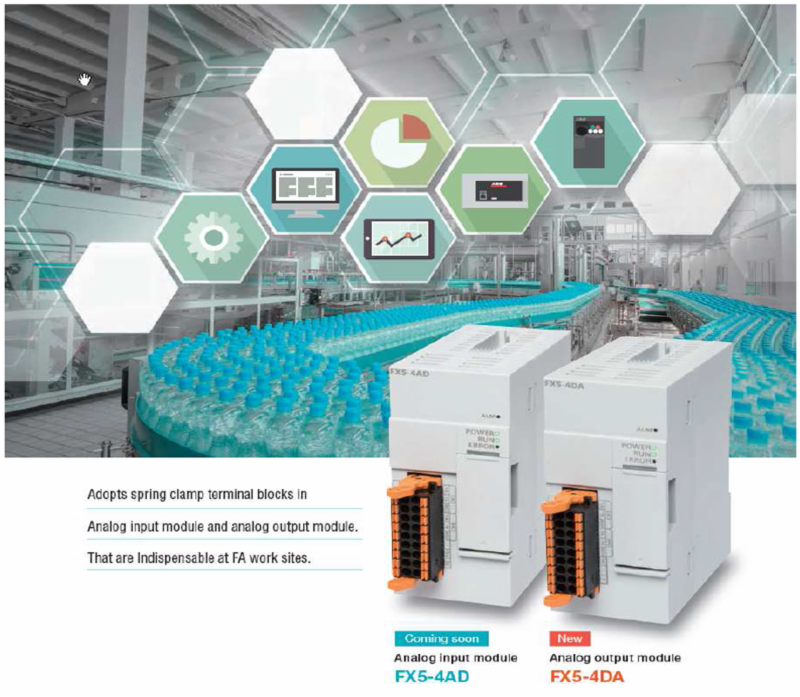 Mitsubishi Electric’s solution for small machines delivers a totally integrated automation architecture which is based on using standard networking components and provides a cost effective, yet powerful and scalable solution. 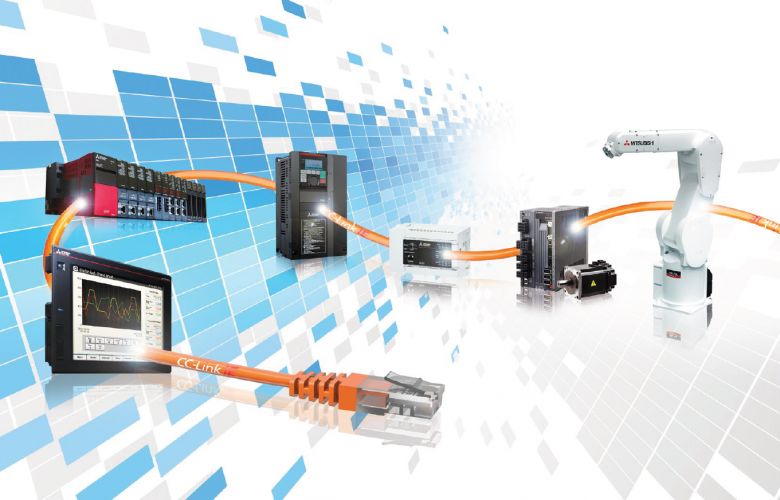 The solution is based on using automation components, such as PLCs, HMIs and Inverters, all complete with embedded communication ports, at no extra cost. Save 70% with our OEM Starter Pack Offer! On this year’s Drives and Control Stand Mitsubishi previewed a prototype of the new MELFA CoBOT. 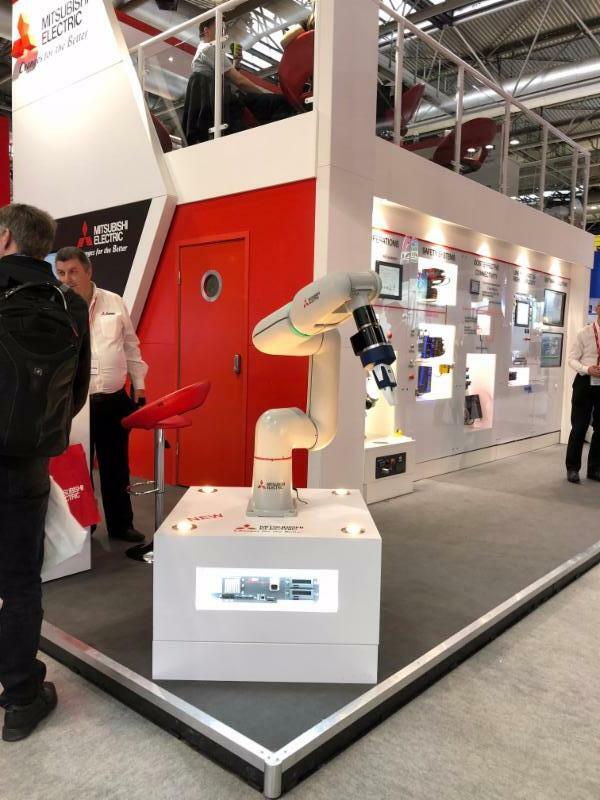 This arm will be aimed at the collaborative robot market offering increased rapidity and higher IP rating than the competition as well as easy to use software, direct teaching and collision detection. Mitsubishi showcased a MELFA Robot mounted on an automated guided vehicle (AGV) showing alternatives to conceptual uses for these products. 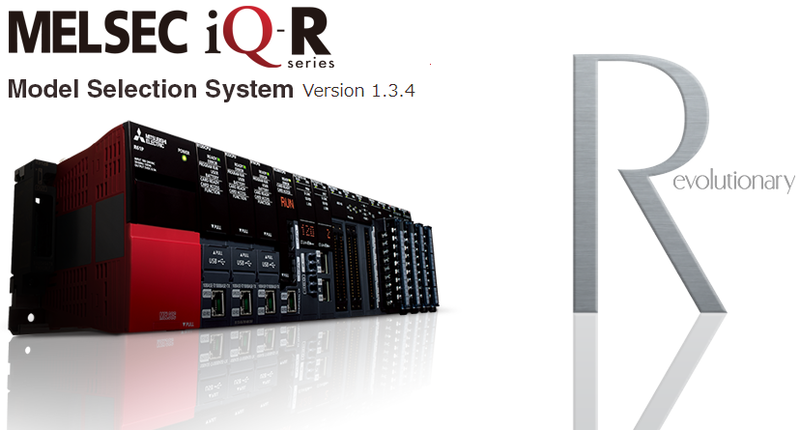 – Quickly visualise the number of I/O points and total current consumption required for modules during selection. – “Purchase list” with selected module name and quantity can be printed.